The Short and the Sweet of It: Words I Need to Remember. Words I Need to Remember. Exactly. Beautiful photo. Enjoy it all. The smallest moments in life are indeed, the biggest. It's definitely important to make time for sweet moments like this :-) Enjoy! certain moments should last forever right?! Simple yet beautiful picture! 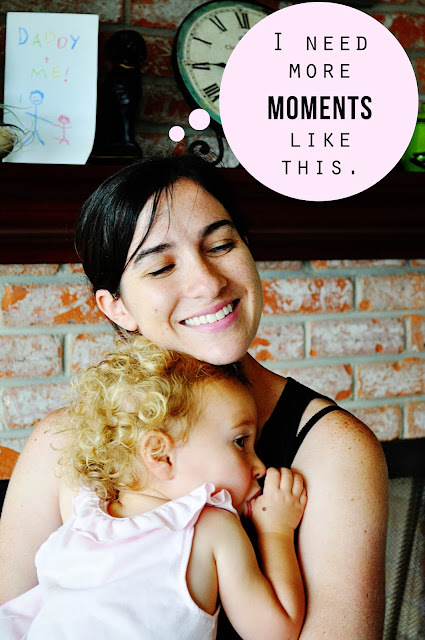 Cherish those moments! Perfect :) Enjoy these moments! Aww, how precious. You know we sure do! I love this picture. Those are the best moments aren't they?! Aww, this makes my heart smile. Enjoy those cuddles! Precious! Enjoy every one of those moments! when did she become blond and curly?? so cute!